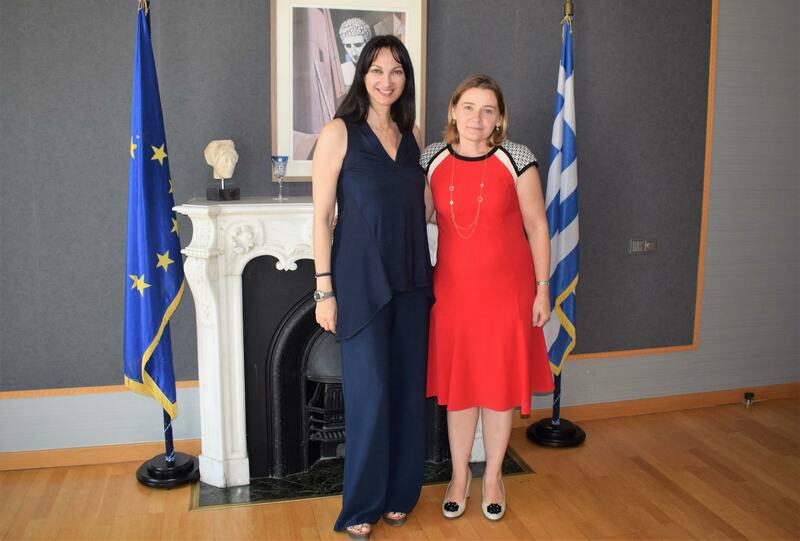 Tourism minister of Greece, Elena Kountoura and the Ambassador of Poland to Greece, Anna Barbarzak had a meeting at the Greek Ministry of Tourism in Athens, during which they discussed about broadening Greek-Polish co-operation in the tourist industry. The Ambassador pointed to the increasing tourist flow from Poland to Greece in recent years, stressing that in 2017 some 1 million Poles visited the south European country. Elena Kountoura also referred to the dynamic tourist opening of Greece in the Polish tourism market, which is implemented through targeted promotion activities. She informed the Ambassador that the the Greek Ministry of Tourism, in close co-operation with the Greek National Tourism Organization (GNTO – EOT) andthe Ministry of Foreign Affairs, plans further promotional actions and initiatives for 2019 within the framework of the Joint Greece-Poland Action Plan to complete 100 years since the union of diplomatic relations between the two nations.